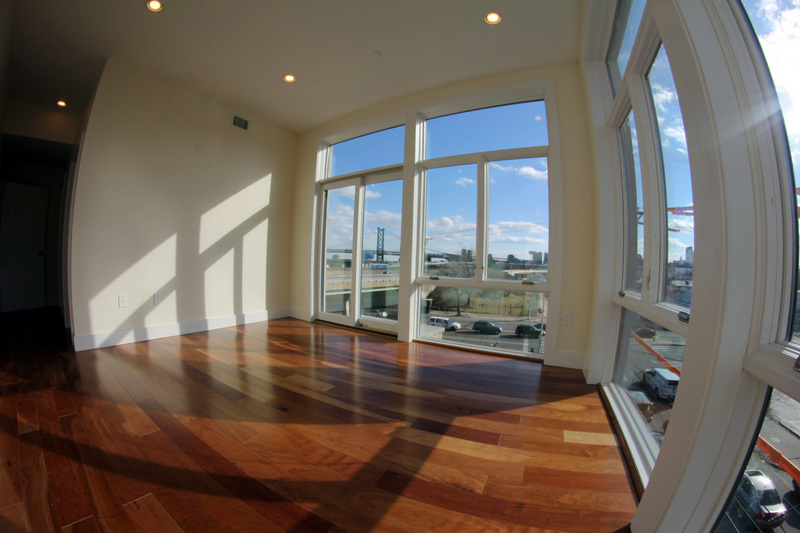 With dramatic Center City, Delaware River and Ben Franklin Bridge Views, this premier second floor corner apartment features 2 balconies and two bedrooms. 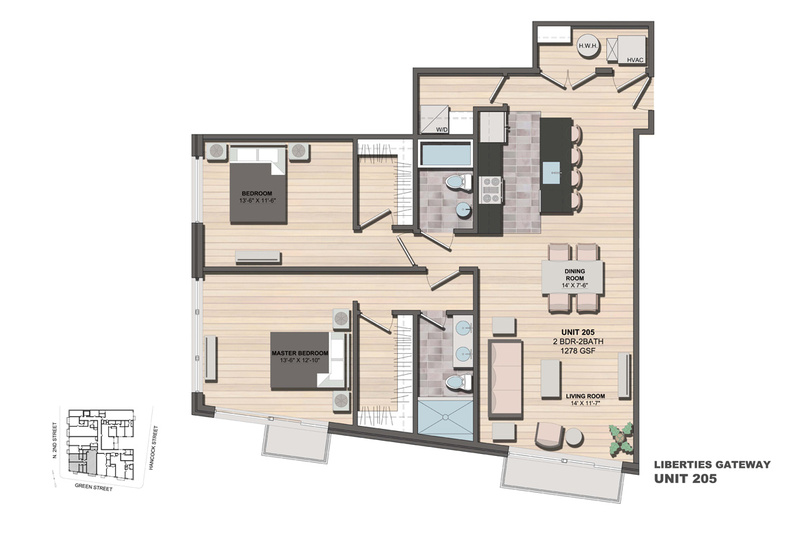 With 1278 square feet of space, nine foot ceilings, floor to ceiling Pella windows, hardwood floors and tiled kitchen and baths, walk-in closet, and central heating and cooling, you will enjoy all the amenities of Liberties Gateway luxury living. Includes all stainless steel appliances, full size washer and dryer, and black granite countertops. Well insulated energy efficient design with LED lighting throughout and on-demand gas water heater means your utility bills will be low and you will never run out of hot water. Completely wired, Verizon FIOS and Comcast Xfinity are available. Enter your new home through the elegant lobby using your keyfob and jump on the elevator, or push the button to open the garage door and drive your car into the secure and private underground garage. Here you can unload your groceries in heated comfort. A large elevator takes you directly up to your new home.